Two of our divers, Tim and Emma, qualified to compete at the National Championships that are being held in Saskatoon, SK on August 3-4, 2013. 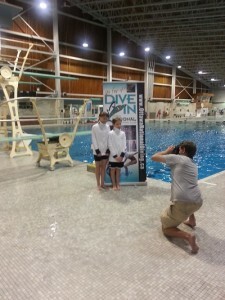 You can get more information about the meet and see it live at the Diving Plongeon Canada website. They were also recently interviewed about their upcoming trip to National Championships by Sport’s Ottawa columnist Dan Plouffe and CTV’s Carolyn Waldo. Keep your eyes open for them on TV and on the web at sportsottawa.com … Good luck!